Born: January 14, 1855 in West Falmouth Ma. Married: December 22, 1875 in Falmouth Ma. To: William Thomas Barlow, Capt. 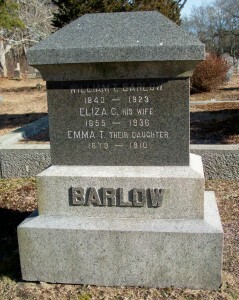 ; (1843 – 1923) (Jesse Barlow, Jr., Capt. 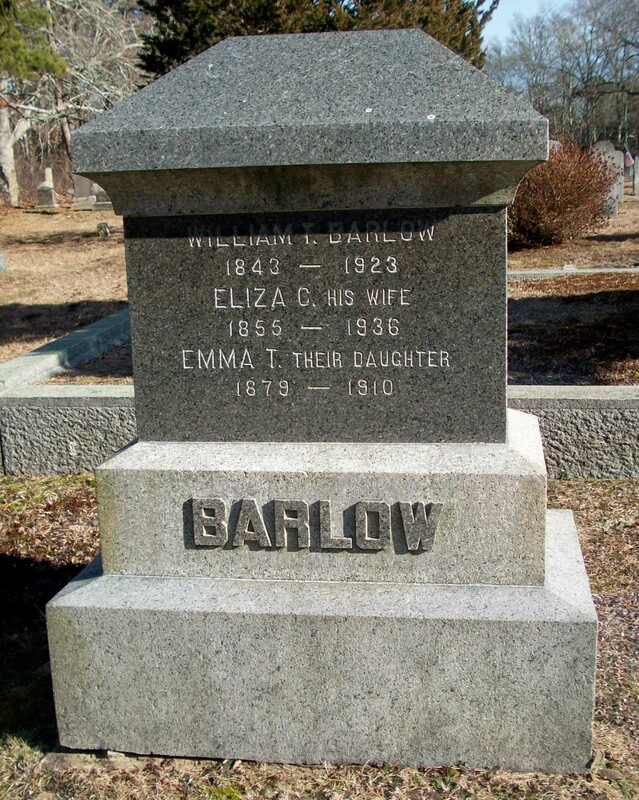 & Maria Swift (Ellis)); William married (1) Florence/Flora A. Packard (1849 – 1869) (William Ellis Packard & Thankful Ann Linnell) in Sandwich Ma. on January 10, 1869. 1. 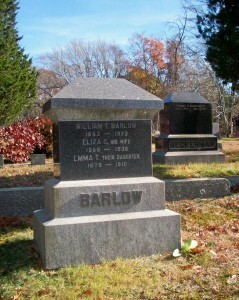 Emma Thompson Barlow; (April 17, 1879 – July 15, 1910; Emma died at 31 yrs, 2 mos, 26 d. & is buried in Pocasset Cemetery. 3. 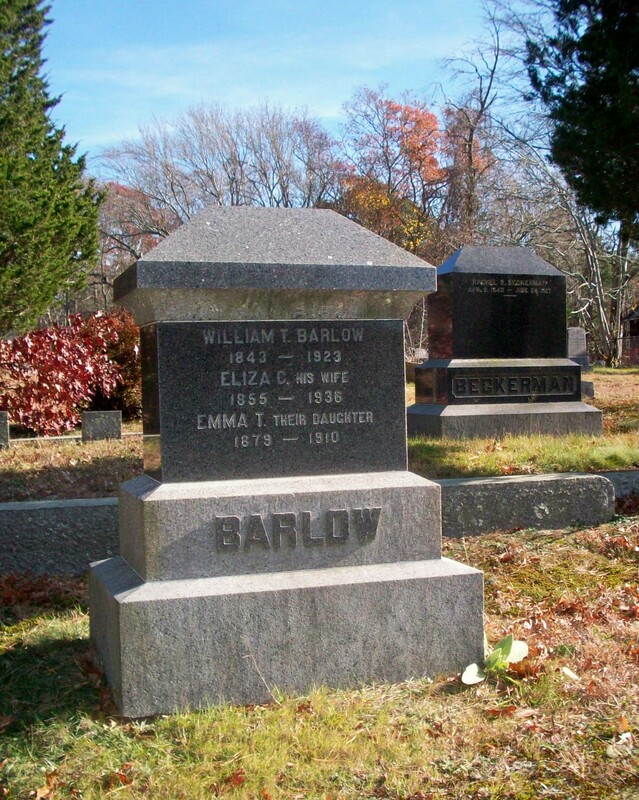 Edwin Barlow; Edwin was mentioned in Fred C. Alexander’s “Notes of Pocasset Heights”; No further information.